Conceived in our firm belief that today’s discerning superyacht buyer demands not only the highest standards of design and construction, but the greatest possible value for money, the Primadonna is the supreme synthesis of superior Italian design, classic craftsmanship and leading edge engineering. Sleek and stylish, at 130ft, the Primadonna has the performance and personality seldom found on superyachts less than 150ft. She’s in a class of her own. With a hull shape that delivers the best semi-displacement characteristics throughout her speed range, she’ll calmly cruise with incredible fuel efficiency at low revs or surge majestically at high revs in a dry semi-planing style – all the time stabilized for perfect trim – and passenger comfort and safety. - Davit to be upgraded to 2500kg min. Galley: LAYOUT: Fully-fitted galley and spacious lazarette. Accommodation: SALOON: Large main saloon with formal dining for 12 on the main deck, large sky lounge on the deck above. 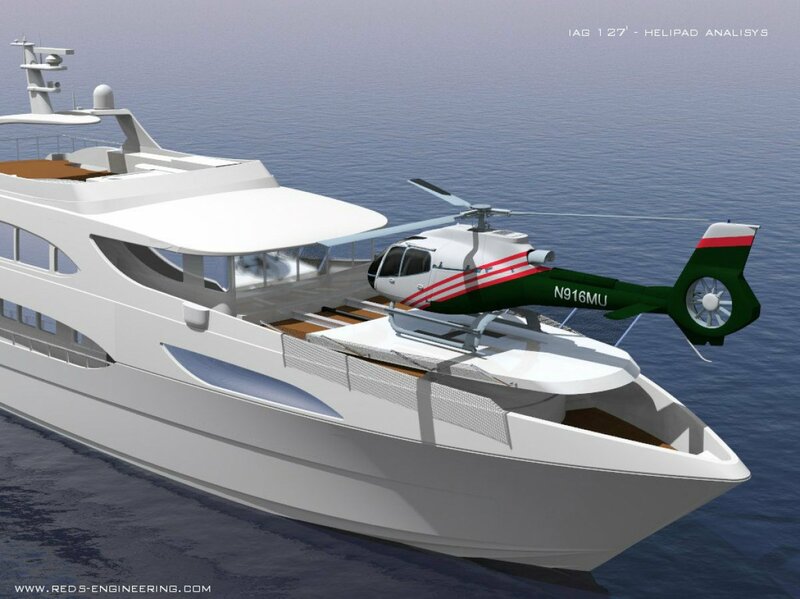 Each saloon is entered from its own contiguous aft deck through beautiful automatic stainless steel sliding doors. Cabins: Accommodation for 10 to 12 guests depending on layout selected, plus 8 crew and separate captain's cabin. Stateroom, which is centrally situated on the main deck, is beautifully appointed with soft leather, glass panels, neutral fabrics, and Oak and Wenge paneling. Includes an office, walk-in wardrobe, and sumptuous ensuite bathroom. Four guest staterooms on the lower deck, with a sixth stateroom on the upper deck.